Azure Developer Guide is a free on-line e-book for developers who are exploring and leveraging the capabilities of the Windows Azure Service Bus and related technologies. The goal is to create a resource that will evolve and mature in parallel with the Windows Azure Service Bus. The use of an electronic format will allow sections to be added as new technologies are released and improved as the knowledge and experience of using the technologies grows within the developer community. The first version was published on the 3th October 2011, marks seven years to the day since the first version of “The Blogger’s Guide to BizTalk” was published. I will publish content from future releases of the guide as articles on my blog. I have recorded some of the code examples in the guide and published them as webcasts on the CloudCasts website. Alan has held the MVP title for 11 years, and is currently an MVP for Windows Azure. He is in the organization team for the CloudBurst conference and the Global Azure Bootcamp. Alan is also an avid Formula 1 fan, finding the technology and engineering challenges of the sport as dynamic and exciting as the racing. Alan hosts the website CloudCasts.net, a community webcast site covering Microsoft “Connected Systems” technologies. 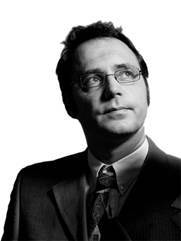 He is a regular speaker at conferences and local user group events and manages the Sweden Windows Azure Group (SWAG). As the Azure Developer Guide is a community resource published in electronic format any feedback provided by readers can be used to improve the quality of the next release. Whilst I have tried to make an effort to ensure that all the content is correct I have had to make a number of assumptions relating to features that are currently not fully documented. Also, as the Azure technologies are rapidly emerging and evolving three are bound to be areas of the guide that require updating. If you have any comments or suggestions that could improve the content of the current or future versions of the guide please let me know and I will try to ensure that content is updated for the next release. I like to play an active role in the development community and respond to many questions from developers around the world who are working with Microsoft technologies. Please feel free to contact me, via by blog or Twitter, with any questions relating to Azure development or the training courses I deliver.